NEW SIGNING: Holmes is where the heart is! 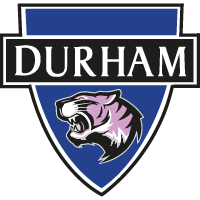 Durham Women FC are delighted to announce the signing of defender Abby Holmes. Holmes becomes the club's first signing of the summer and joins the Wildcats after a spell playing professionally with PEC Zwolle in the Netherlands. Primarily a full-back, although comfortable playing in a variety of positions, Holmes burst onto the scene at Sunderland Ladies and helped the Black Cats to lift the FA WSL 2 title in 2014. The defender stayed with the Wearsiders until 2017, when she moved overseas to join PEC Zwolle in the highest-level of Dutch women's football. And Holmes impressed on the foreign stage where she was a virtual ever-present in one of the club's best-ever campaigns. Having now returned to England, Holmes has teamed up with the Wildcats ahead of the new FA Women's Championship campaign - and the defender is delighted to be at New Ferens Park. "It feels great to be at the club and I'm looking forward to playing in England again,” she said. "Durham sound like a very fan orientated club and in the past few seasons they have played good football and have always been up there fighting for the title. "I can't wait to get started and down to business." And Holmes has told fans to expect plenty at both ends of the pitch when she takes to the field in the new season. "I'm a traditional defender who loves a tackle,” she admitted. "I like to get forward at every opportunity too, and I am passionate about the game and will always give 100%. "Hopefully I will bring experience and leadership qualities to the team and maybe a goal now and again!" After a fourth place finish last season, the Wildcats are looking to push for the top - an ambition that Holmes shares. "Personally, I want to secure a regular place in the starting eleven, contribute to the team and gain promotion,” she added. "Having watched the club play numerous times over the last few years they are always improving and it could be a very exciting year for Durham. "The league will be tough with new teams added but I feel confident that the team has enough quality and ambition to be competing for the league title and promotion." Manager Lee Sanders was delighted to land the defender, saying: "On behalf of everyone at the club, I'd like to welcome Abby to Durham. "She's a player who has been top of my list for a number of seasons now and when the opportunity arose to talk to her I was never going to turn it down. “I'm delighted she'll be competing for us next season. "She's fiercely competitive, experienced, and can play a bit too! “She comes in on the back of playing full-time in Holland which will have been a great and different experience also.